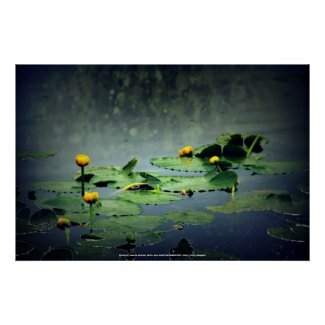 You are currently browsing the tag archive for the ‘lily pond’ tag. 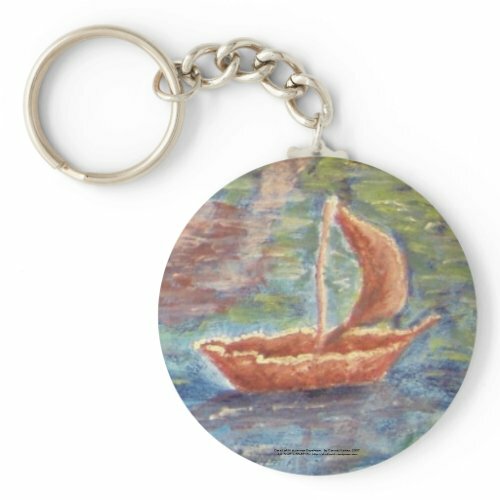 Last week when I was doing some marketing optimization of my Zazzle product ( making sure there are links to help people find matching postage, stationery, and stickers etc). 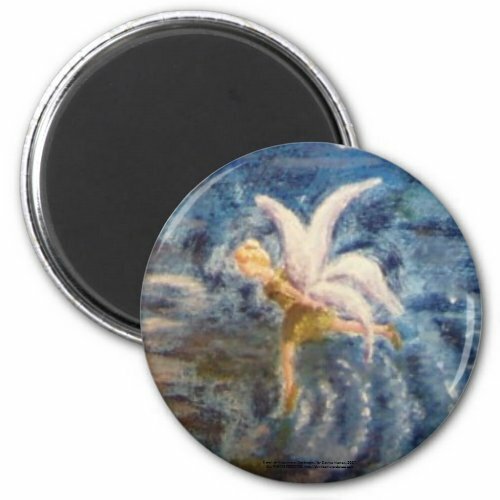 I decided that some of the details in my water soluble oil painting, Midsummer Daydream, would make some beautiful stickers to match some of the stationery I already had for sale. 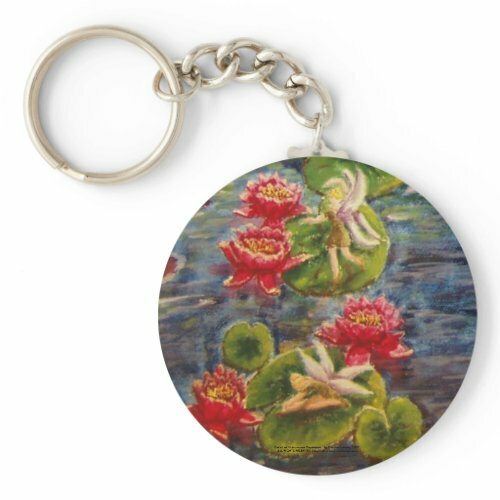 They also make pretty magnets and key chains. 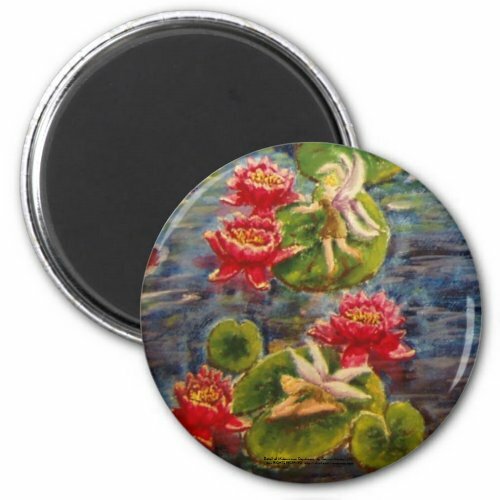 This sticker shows a view of fairies dancing on green lily pads surrounded by red lilies floating on dark blue water. 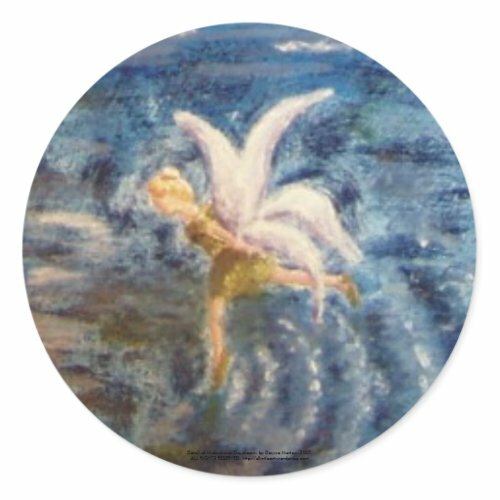 This sticker shows a view a fairy skipping across the lily-pond in a pose reminiscent of an ice skater while she leaves a trail of ripples behind her in the dark blue water. 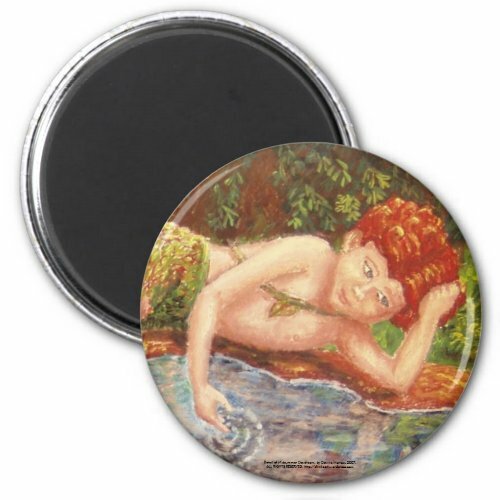 This sticker shows a detailed view of the wood sprite creating ripples in his refection as he daydreams while laying on the shore of the lily-pond. The idea for Midsummer Daydream came from a contest on artistnetwork.com, Artistnetwork.com’s third All-Media Paint-Off!, Garden Angel .The assigned subject was to do a painting based on the photo, Garden Angel, which was of a statue in a garden. Originally the statue in a garden idea did not appeal to me, but as I thought about it I decided if I changed the basic concept from a statue to a living Wood Sprite or Nymph based loosely on the statue and completely changed the composition, that I could make something I liked. 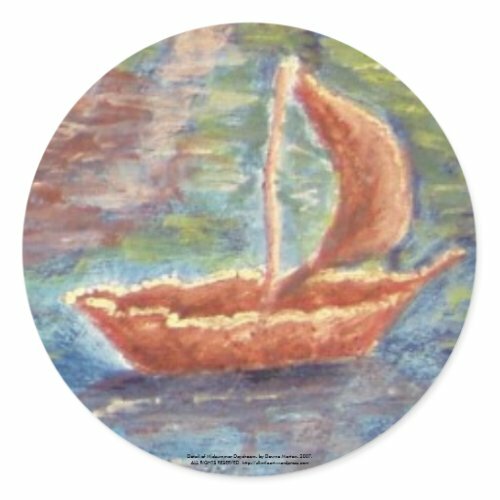 Having read a book recently on composition, I decided to put together something that would move the eye in a circular manner through the painting. 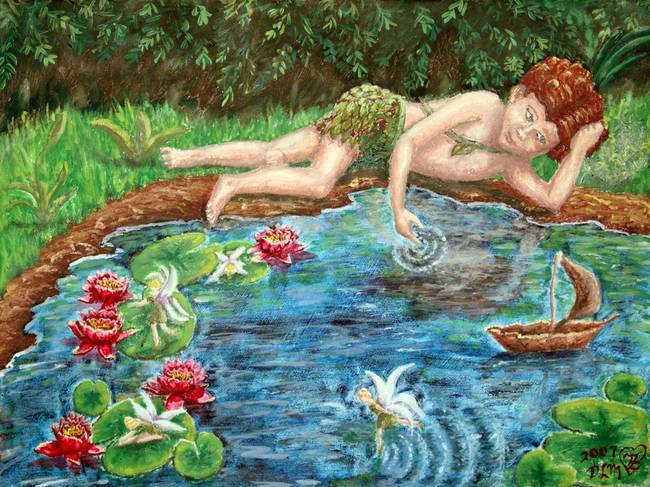 What I came up with was a whimsical scene depicting the young red-headed wood sprite dipping one toe in the water, laying down at the edge of a lily pond, and creating ripples in his reflection by running his finger in the water playfully while gazing dreamily at his leaf boat which is floating away past lily pads. 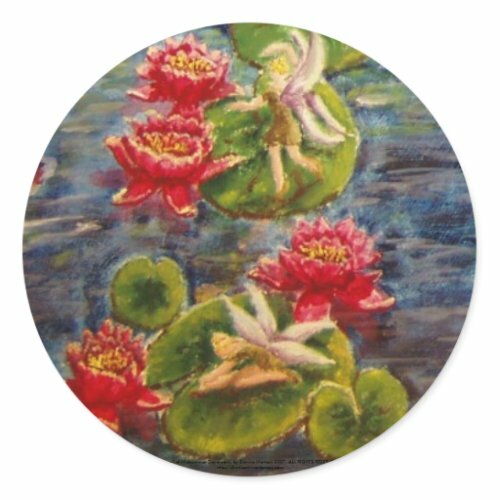 Completing the scene is a series of faeries skating across the blue water and doing various ballet poses on the lily pads, interspersed with red lilies. Keeping the pallette fairly simple and limited it to blues, greens, and reds helped tie things together and keep it more cohesive. This painting is the first I ever completed on time for a competition (I had done one other for another artistsnetwork competition but missed the deadline by a few hours). 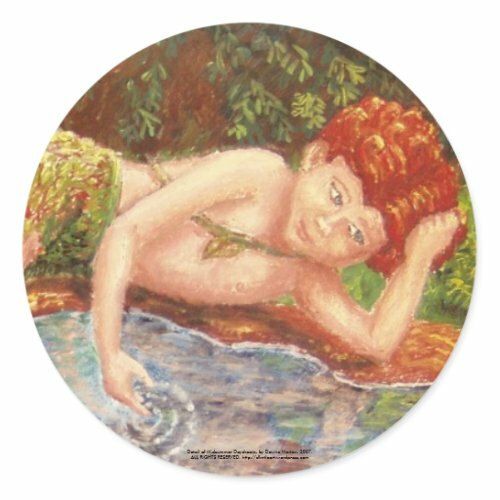 This particular painting is very special to me because it was done at a time when I was changing how I viewed myself from a person who “wanted to be an artist someday ” to seeing myself as an artist–symbolized by the ripples in the sprites reflection. Also there are several areas in the painting that are a little off, such as the position of the sprite’s back leg, but as I have thought about it that has become symbolic to me as well. We all have things we let keep us from following our dreams. To me this painting is about moving on, and living the dream without letting those things stand in the way anymore–moving beyond the mental blocks of “I can’t do that because” and just believing in ourselves and doing it anyway. 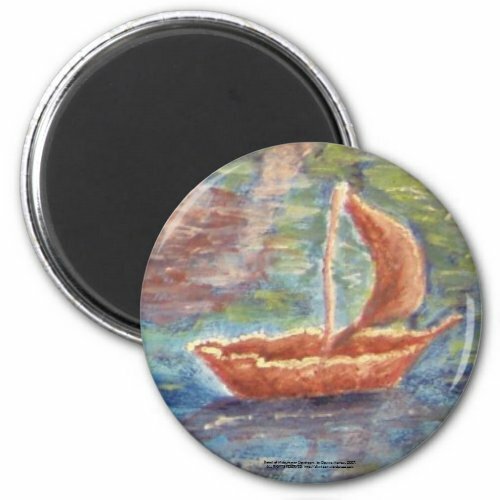 Water soluble oils on gessoed paper. 14 3/4″ x 11 1/4″ 2007. Intellectual property of Dawna Morton. All rights reserved, do not copy. 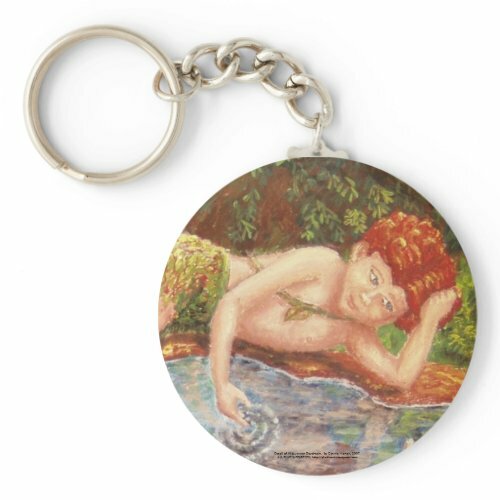 The wood sprite creates ripples in his refection as he daydreams. 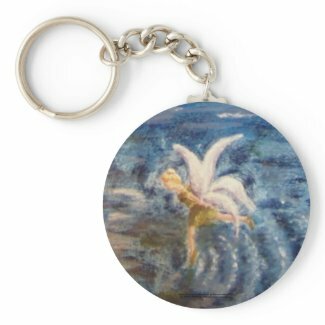 Fairies dance on the lily pads and skate across the water while his leaf boat floats away to dreamland.